The Cheyenne and Arapaho Tribes of Oklahoma are continuing their efforts to bring to financial and legal redress all of those involved in the failed PokerTribes.com deal with Nevada-based Universal Entertainment Group (UEG), the entity that sold a questionable gaming concept to two Oklahoma tribal nations. Among the latest options being considered by tribal officials is an appeal to the US’s Native American Rights Fund (NARF) to file actions on behalf of the tribe to claw back the $9.4 million the tribe spent in 2012 and 2013 in its partnership with UEG. 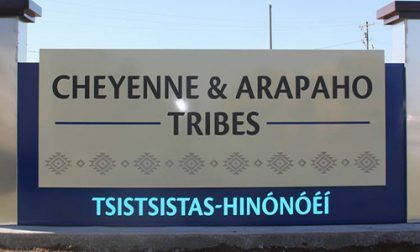 However, this latest C&A push adds a twist: According to a proposal introduced by C&A tribal activist Pete Salinas, the tribe should also be considering action against federal agencies who are alleged to have failed to fully intervene on the Cheyenne and Arapahos’ behalf in the whole PokerTribes affair. That partnership with UEG saw the C&A nation invest $9.4 million and receive no working product before the partnership fell apart in late 2013. The Cheyenne and Arapaho Tribes — actually a single combined tribe as recognized in the United States — was the first Oklahoma tribal nation to sign on with UEG, the company founded by telemarketing fraudster Fereidoun “Fred” Khalilian and including as an executive partner Isaias Almira. That deal promised to bring tribal-based online gambling to visitors located outside the United States. That wasn’t quite the original plan, but was what remained after negotiations with both the State of Oklahoma and the US federal-level Bureau of Indian Affairs, part of the Department of the Interior, over the legality of the whole enterprise within Oklahoma’s boundaries. Once the deal with the C&A tribe collapsed, UEG and its executives, notably Almira and Khalilian, sought and found a replacement tribal partner in the Iowa Tribe of Oklahoma, with a thinly-changed variant of the original concept called PokerTribe.com. Last year, the Iowas went solo with a project called Grey Snow Poker, while the C&A continued its pursuit of UEG and its own former tribal administration with several different federal agencies. That $9.4 million loss still stings for the Cheyenne and Arapaho nation and was the topic for Saturday’s debate at the C&A’s annual tribal meeting in Concho, Oklahoma. WHEREAS; ARTICLE VII, SECTION 4, (b) of the Constitution states “Spending government revenues or drawing monies from the Treasury without authorization and appropriation by law and without a signature by the Governor shall constitute embezzlement and fraud against the Tribes and which shall be punishable by a jail term of up to one year and a fine of up to five thousand dollars per offense. WHEREAS; In 2012, several persons including former governor Janice Prairie Chief-Boswell illegally spent $9.4 million in tribal funds on the Poker tribes and Bingo tribe contracts without proper authorization. WHEREAS; The Cheyenne and Arapaho Tribes has no law enforcement department of its own and relies on such agencies as the Bureau of Indian Affairs-Office of Justice Services and the Federal Bureau of Investigation to provide law enforcement services to the tribes. WHEREAS; These law enforcement agencies have a federal trust responsibility to protect tribal treaty rights, lands, assets, and resources, as well as a duty to carry out the mandates of federal law with respect to American Indian tribes. WHEREAS; Evidence of embezzlement of tribal funds was turned over to the appropriate federal law agencies. Also Tribal Council passed Resolution No. 100513ATC-007 on October 5, 2013 at the Annual Tribal Council Meeting consenting to a federal investigation and prosecution of those involved in the illegal expenditures of tribal funds. However, involving NARF, a non-profit agency with a long profit of successfully taking on US federal and state agencies over improper oversight of tribal responsibilities, would come with it own risks, one of which is antagonizing those other agencies, including the BIA and FBI, which claim to still be continuing the investigation into the whole PokerTribes affair. Salinas rattled off a half dozen agencies alleged to be complicit in failing to assist the tribe in recovering that $9.4 million, if indeed it can be recovered. Among the weird twists in the story is that $4.2 million of the $9.4 million the C&A paid to UEG i known to have gone to pay a $4.2 million fine owed by UEG Khalilian to the federal government, as part of Khalilian’s 2010 settlement of a telemarketing-fraud lawsuit. Other tribal officials speaking at Saturday’s annual business meeting stressed not rocking the boat, while stressing that NARF might not want to get involved in a matter also including “tribal mismanagement”, referring to the actions of former Governor Boswell. That also obliquely referenced the complex situation involving Boswell’s controversial and short-lived run as the Tribes’ governor, which ended even as the final touches on the PokerTribes / Bingo Tribes deal with UEG were wrapped up. The Saturday meting without a decision on Salinas’s proposal being announced. A vote was taken, but confusion over an amendment over the Tribes’ legal counsel arose and the meeting also struggled to maintain a quorum as these and other matters were discussed — the meeting coincided with the Texas-Oklahoma football game, which bled voters away. Part 2 of this feature will offer additional background on the controversial PokerTribes affair, some never before published. How a tribal governor battling the legitimacy of her own election was able to still orchestrate the spending of $9.4 million in tribal funds (if Salinas’s allegations are accurate) is another part of the story, as is the quick payment of that money to UEG. The tease: It all could have been for more than $9.4 million. There is something fishy going on as to why this ligation has not made any progress. Now everybody can’t be In collusion in this scam.